An American poet and editor, John Greenleaf Whittier penned the ballad of Barbara Fritchie in 1863 after hearing about the alleged exploit from a friend of his. He used a German variant of her name in the poem, spelling it Frietchie. 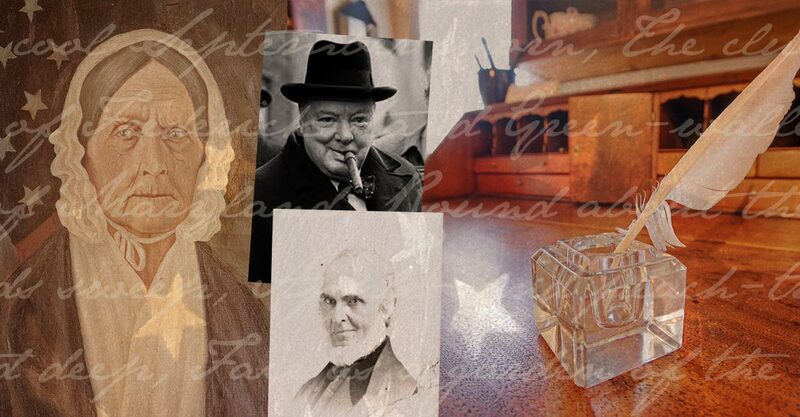 Such was the enduring fame of the poem that when British Prime Minister Winston Churchill visited the house in 1943 with President Franklin Delano Roosevelt, Churchill is said to have recited all 30 couplets by heart. “Halt!”— the dust-brown ranks stood fast. “Fire!”— out blazed the rifle-blast.